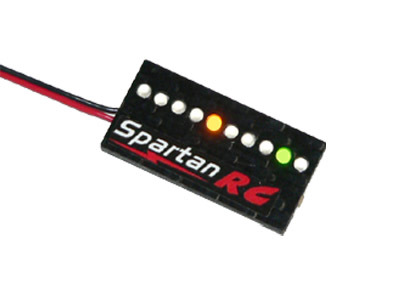 Voltguard G3 is more than a simple battery checker; it is an innovative indispensable product for the RC model user. Although compact in size, G3 utilises the latest micro-controller technology to achieve precision voltage measurements via digital signal processing techniques and offers fully configurable operation for a variety of battery technologies. The G3 monitors the battery voltage several hundred times a second and keeps track of the lowest voltage recorded during operation and whilst the battery is under load in flight. The current battery voltage as well as the lowest voltage is then displayed to the user. This is the essential information every model operator needs for making sure that his battery packs are healthy and up to the job. The G3 can be configured to monitor various types of battery packs including NiCD, NiMH, Li-Poly and 12V lead acid.